Looking to find your way around Boomtown 2018? 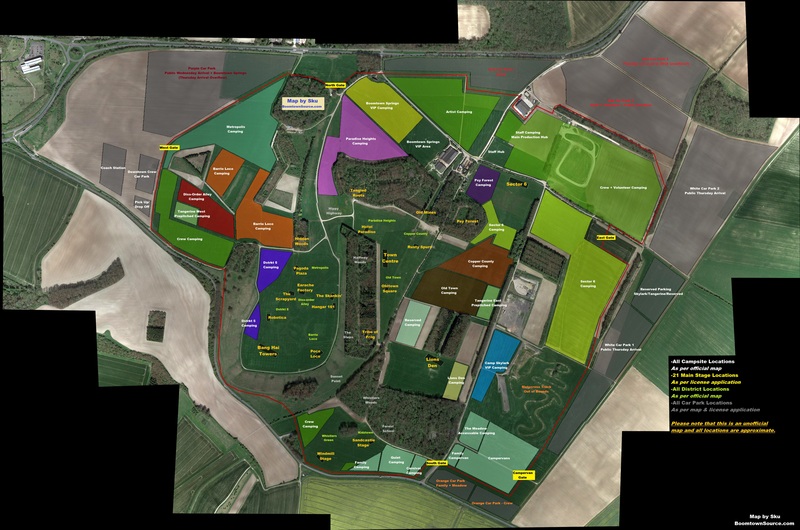 Look no further than the Source unofficial Boomtown map! 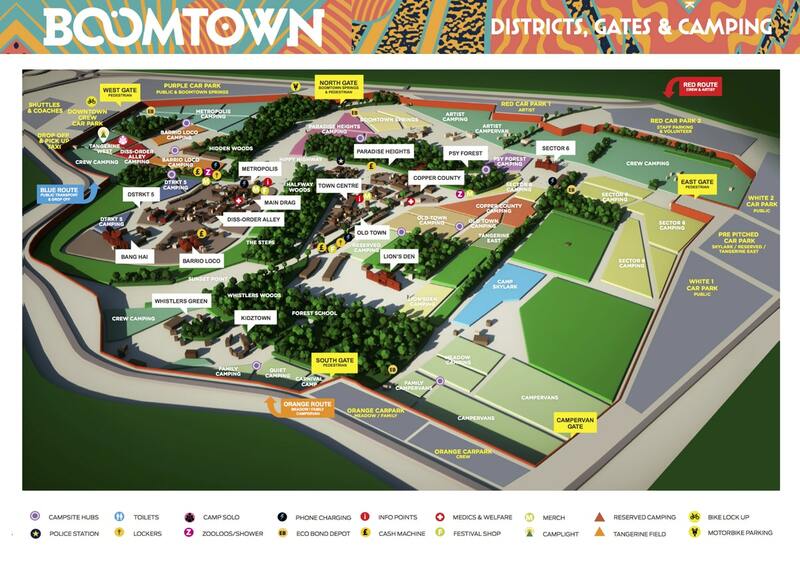 On this page Source has you covered with both the official and unofficial Boomtown maps. Getting lost and discovering a new act, secret alleyway, or forest party is all part of the fun at Boomtown Fair. But sometimes you need to know where you’re going, so that you can find your way to the acts you want to see. You can find the official festival map below, and also in this news post on the festival website. 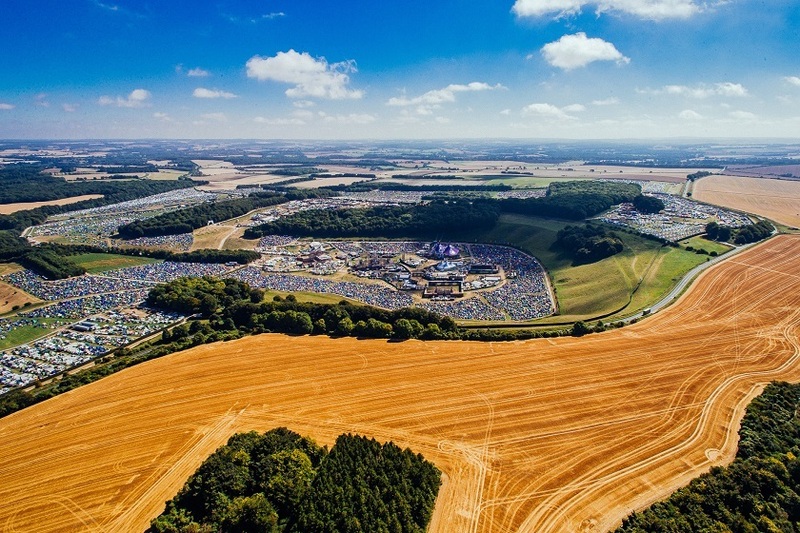 The Source version of the map is combined with aerial photography, which helps to show the sheer scale of the festival a lot better (spoiler: it’s huge). You tend to walk around a lot over a Boomtown weekend, so it’s good to have an idea of the distances involved from your campsite. The map shows where the 21 main stages are located, which you can’t find on the 2018 official map. I know, I know, there are way more than 21 stages at Boomtown. But these ones are hosting the biggest acts, and they have the largest and loudest sound systems. Source doesn’t want to totally spoil the locations of all the smaller stages and venues. It’s a lot more fun when you find them for yourself. You can also find the accurate location of every campsite, car park and entrance gate. Very useful if you like to plan ahead for your arrival! Its the perfect camping map for all you planners out there. Don’t forget to check out the Source guide to the best places to camp too. You can also find an ultra high res version of the Source map here. Download the map to your phone or PC for best results, as it’s a very large image. It’s difficult to zoom in properly on some web browsers. Please note that as an unofficial map, Source cannot guarantee the accuracy of the locations marked. The map was made before the start Boomtown 2018 commenced. Some of the stage locations turned out to be slightly off, but still in roughly the correct location. I hope to be able to update and refine the map ready for Boomtown 2019, so check back nearer the time.